Draw random items from the Draw Board using the "Draw Tickets" to win awesome rewards! 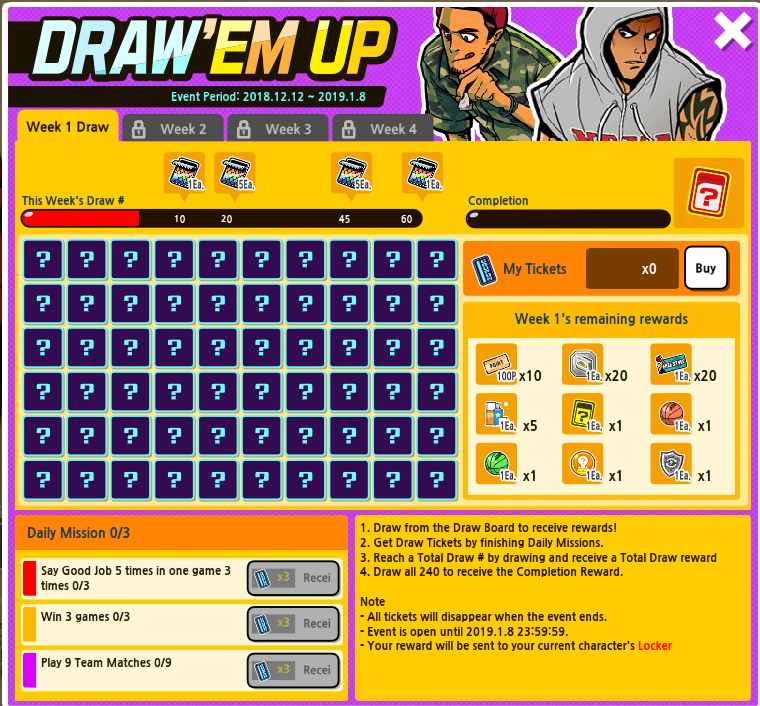 •You can obtain tickets by completing the "Daily Mission" inside the Draw'Em board. •Use your tickets to Manually Draw from the Draw Board and win the Prizes. -You can check the remaining rewards in the board. •Receive bonus prizes by achieving the "Total Draw" number for that week. 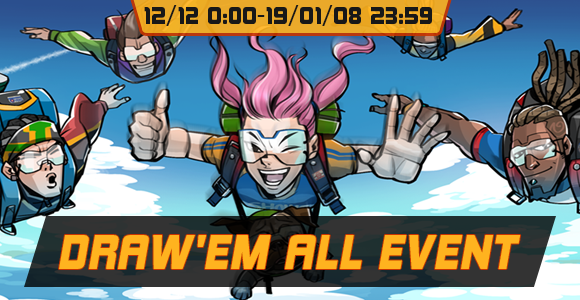 •Win our completion bonus by completing all the Draw Board every week. All Tickets will disapear after the event.